It's never easy to come up with vacation plans that suit everyone, especially when "everyone" includes children of varying ages. What appeals to a toddler most certainly will bore a pre-teen to tears, and woe to the child in the middle. Luckily, a Costa Cruises journey truly does have something for everyone, from the youngest to the oldest members of the family. Adults will enjoy the opportunity to take part in such classes as Italian language and cooking, or indulge in a la carte spa treatments and a little onboard retail therapy but what about the kids? First stop for any clever parent will be one of four Squok Clubs: Mini from 3 to 6 years, Maxi from 7 to 11, Teen Junior from 12 to 14 and Teen from 15 to 17. Here, children can spend the day taking part in a variety of age-appropriate activities. Tops on the list of activities for younger kids is arts and crafts, where budding sculptors can create masterpieces from balloons and plasticine, paint t-shirts or create costumes for themed evenings. Other fun activities include sports tournaments, such as volleyball, basketball, table tennis and pool sports such as Steal the Flag. Kids can also take part in fun onboard activities including an interview with the captain, a treasure hunt and the Squolympics, the Olympics for young athletes and friends of Squok. And who doesn't love a party? While parents are off enjoying the ship's restaurants and bars, kids can have their own celebration including a fancy dress parade, an evening at the circus and even ice cream, Nutella and chocolate parties. Older kids will have a blast exploring their artistic talents while painting murals, creating jewelry and body painting. Karaoke, a talent show and ship rallies are also on tap, and themed evenings such as Peace & Love, Kitsch, Tribal, Rave and Funk are sure to please even the coolest teen. Teens and pre-teens will also have a great time taking classes in hip-hop and Capoeira dance, video recording and editing, magic and more. And, special dining events such as Tex Mex dinners and barbecues mean even the pickiest teen will enjoy mealtimes. Beyond the Squok Club, there are plenty of onboard amenities for kids. 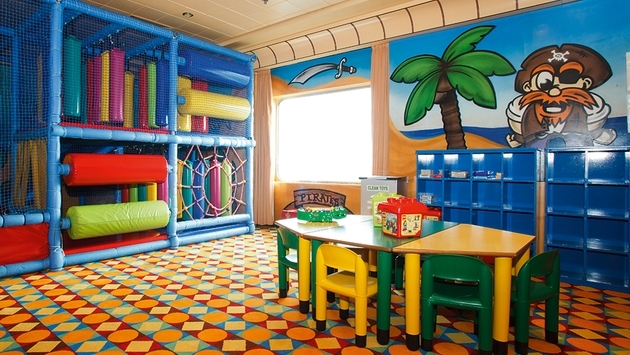 Younger passengers will enjoy the pirate ship and giant LEGO room, and the entire family can join in the fun during talent shows and bingo nights. And while Costa doesn't offer shore excursions especially for children, there are plenty of excursions that are well suited to passengers of all ages (and at special rates). Come nightfall, parents can rest easy knowing that their younger children are being entertained and well cared for. 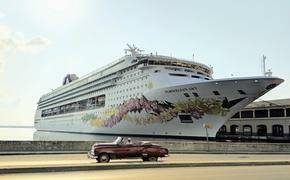 The cruise line offers organized evenings designed to delight children and parents alike. Children have fun activities with their peers, while parents have the chance to slip away and enjoy a romantic night at sea. And, on non-theme nights, Costa's group baby-sitter program provides parents with another chance to spend quality time together. Whether it’s a Pirate Night or a Cupid’s Dance, Costa keeps families having fun.